In my "Rapid Success" video series I deliver a top communication tip in 2 minutes or less. In this video I give you my three tools for increasing your resilience. Two years ago today I had the opportunity to share my thoughts on the power of storytelling with a TEDx audience. It was a wonderful weekend meeting inspirational people and experiencing the beautiful City of Vitoria Gasteiz. Here is me two years ago! Why Bother With A Warm-Up? Breathing is really important for making you sound and feel confident when you are in front of an audience. The first thing you should think about is the placement of your breath. A common mistake that people make when they are nervous is to start breathing up into the chest. This increases the adrenaline flowing around your system and you enter into ‘fight or flight mode’. The best way to overcome your nerves is low breathing. Use your diaphragm by relaxing your stomach muscles and allow your breath to drop in and fill your lungs. Use your ribs and the intercostal muscles too, like you’re filling up a barrel! The simple breathing exercise I share in this video will help you to calm yourself down before a presentation. What you are actually doing is lowering your cortisol levels (your stress hormone) and at the same time increasing your testosterone levels (your confidence hormone) so it’s an absolute win-win! I hope that you find my video on breathing exercises for confident public speaking useful. Please share your comments with me in the box below and I’d love to hear about any other tricks that work for you. There are many things you can do to make your audience love you but in my opinion the simplest and most effective is to make brilliant eye contact. In my latest video I give you my top three tips for connecting with your audience using your eyes. 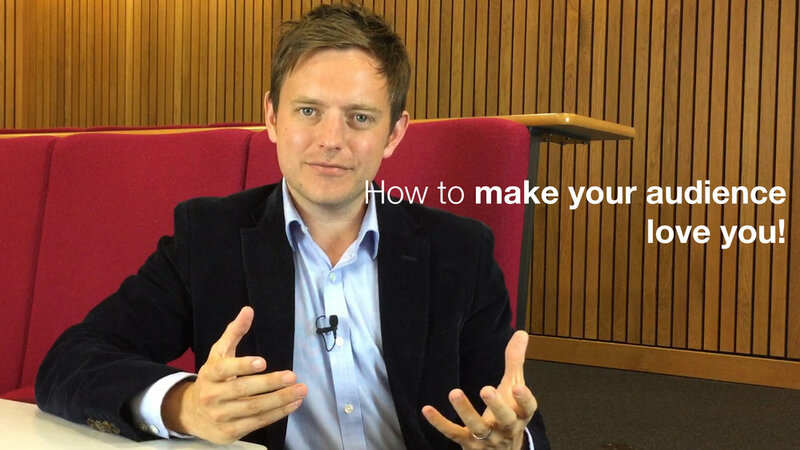 If you find eye contact a little uncomfortable or you’d just like more engagement with the people you’re talking to, then this video is for you. I really appreciate the comments these posts have been getting recently. It’s been amazing to hear people generously sharing their experiences and their own ideas for how to be brilliant communicators. So, if you’d like to join the debate I’d love to hear from you in the box below. Social media can provide your business with many benefits if used correctly. It can drive traffic to your website, provide your business with an online identity, ensure your business becomes a ‘go-to’ within your industry sector and really allow you to find the digital voice for your brand. However, it can be extremely easy to misuse social media by posting content that does not truly represent your business or by simply posting content merely to seem active and this can cause your business serious damage. Therefore, it is vitally important that when using social media for your business, it is done correctly. This blog will take you through the dos and don’ts of social media, which if followed correctly, will ensure that you are able to find and project the digital voice of your brand. It can often be extremely easy to forget about social media when putting together a marketing campaign, however, it is one platform that when used correctly can be vitally important and can play a key role in any campaign. Therefore, using social media as one of the key platforms when putting together a campaign plan can ensure that it is not simply forgotten about. Planning or scheduling your posts is a great way to ensure that the content can be prepared weeks, if not months in advance, making posting an extremely easy process. Don’t have a campaign coming up? 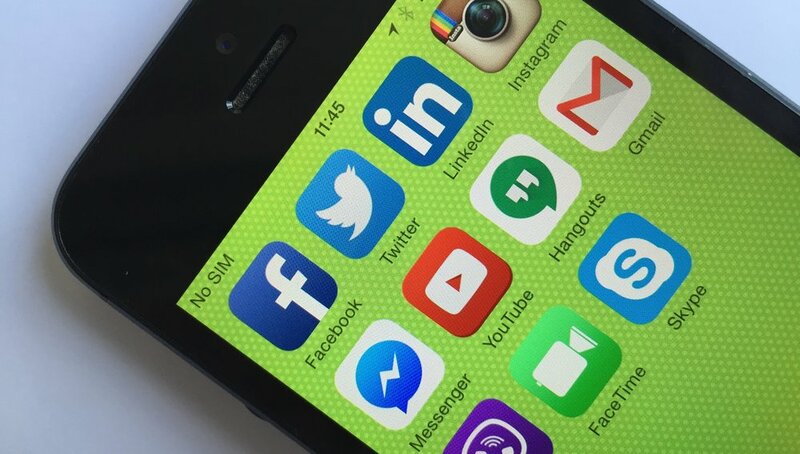 Don’t worry – you can still treat social media as a campaign in itself. Try creating a content calendar, including seasons or key industry events to plan out your posts ensuring your social media platforms always remain a key part of your online campaigns. Social media is a platform that can easily become forgotten about when used for business. But when this happens and posts are published simply to fill space or to ensure you still remain active, you are actually doing your business more harm than good. We have all been there, when we have so much to do, regularly posting on social media platforms often gets moved to the bottom of the to do list. However, planning your posts in advanced is a great way to do this, it also ensures your business stays authentic. Also, remember – the reason why you use social media for business is to create engagement and to do this, audiences need to connect with your digital voice. So investing some time and energy into planning your posts can really ensure that social media doesn’t get forgotten about, your voice is heard and your business is able to show personality. It can be easy to see something on the internet and immediately want to share it with your audience, however, before you post the funny picture of the cat wearing a hat ask yourself – is this really portraying the businesses digital voice? If the answer is no, then don’t post it. Keeping your posts consistent with the same tone will really ensure audiences are able to engage with the content you are posting and will more likely engage with your business. The importance of this cannot be stressed enough. It is so easy to simply post something that catches your eye simply to ensure you are posting regularly. But don’t! Remember, whenever you post anything onto a social media platform it is very difficult to remove. Your social media platforms are an extension of the business; they are simply another platform for your audience to connect with you on. Therefore you want to ensure that your digital voice is heard. Do your posts represent your business? Do they deliver the digital voice of your business? Do they follow on from your previous posts? These are all questions that you should be asking yourself when creating content or before you post anything. As I mentioned before, don’t simply post content just to fill a gap or to seem active. This is simply a waste of time for you and your audiences. So in line with this, take the time to look at your online platforms and make sure you are using the right ones. Does Facebook work for your business? Do you use more written content or images? Would your images be much better suited to Instagram? Posting the right content on the right platforms is the key to gaining engagement, something that can provide your business with many benefits. So don’t be afraid to take the time to look at your business, look at your competitors and really work out which social media platforms are right for you. This is a great way of ensuring that your digital voice will be heard. It can be very hard to deal with negative feedback or comments, especially when they are made publicly on social media platforms. However, it is important that you reply to these comments in order to really establish that your business has a digital voice that is willing to listen. If someone has left a negative comment with regards to your products or services then diffuse the situation and try to resolve the issue. Whether this is asking the customer to contact you directly so that you can solve the issue or simply posting to apologise, acknowledge their feedback and demonstrate empathy. If the issue has been raised before by other customers, then be helpful by offering solutions to common problems. Establishing your businesses digital voice as an authoritative but approachable one is key to ensuring that your audience knows you take on-board their feedback. So now you know the dos and don’ts of social media for business – your digital voice should be heard loud and clear by all! These top tips are ones that should be kept in mind whenever you use social media for business. But remember, that it may take time before you are able to see the benefits. This isn’t a quick fix, but ensuring your audience are able to hear your digital voice will encourage them to engage with your business. Do you agree? Or do you think there is a crucial point that has been forgotten? With over 15 years experience working with small businesses, Jonny Ross specialises in digital marketing campaigns, social media campaigns and online engagement strategies for both B2B and B2C businesses. Jonny has a proven track record in the e-commerce field and everything SEO related, including social media and website design.